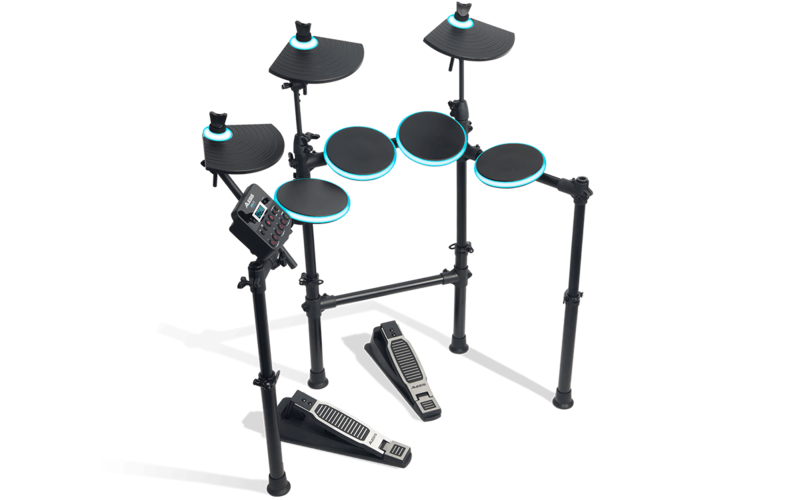 The Alesis DM Lite Kit with light-up LED pads will have any drummer playing right away. 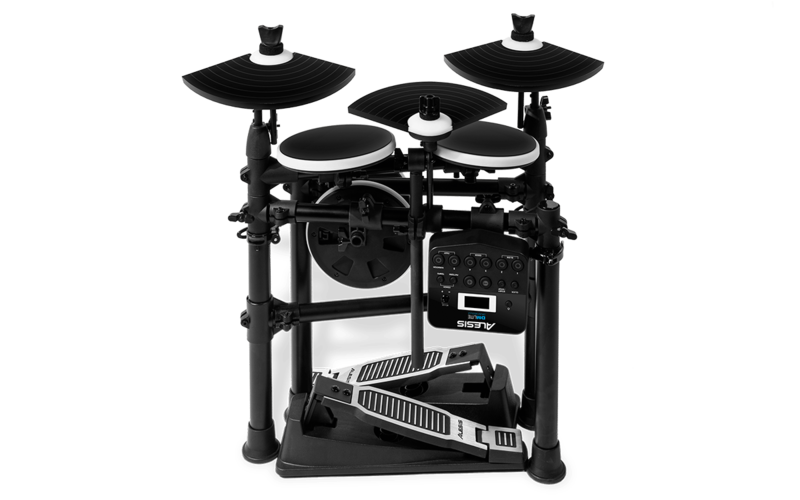 Drum and cymbal pads are mounted to the pre-assembled, height-adjustable, 4-post rack, making set-up a snap. 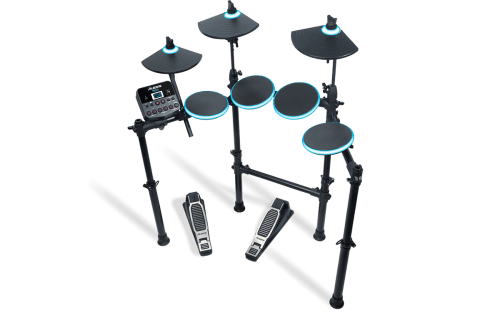 In addition to 200 sounds (fully accessible by external MIDI sources), the DM Lite Module contains a built-in drum coach offering play-along patterns and exercises to improve your skills. 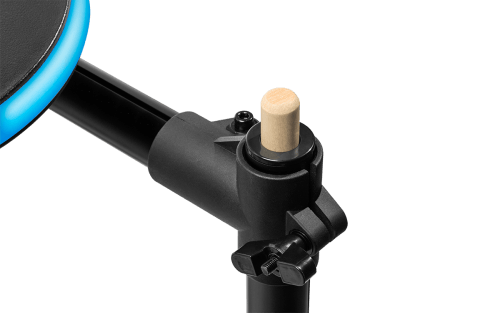 Through stereo 1/4″ outputs, the DM Lite Kit can be easily connected to an amplifier or sound system to share your performance. Also, a 1/8″ headphone output is available for private practice. 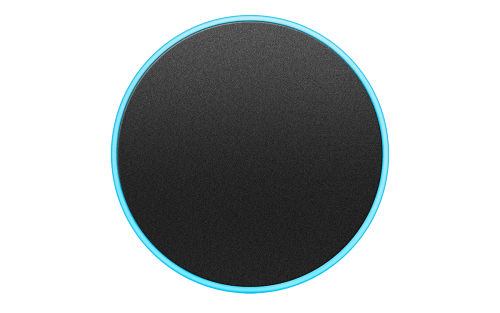 In addition, there is an 1/8″ aux input that allows you to jam out to your favourite tunes from an external audio source. The DM Lite Kit can even connect to your computer via USB. Ideal for integration with popular software recording programs and virtual instruments. 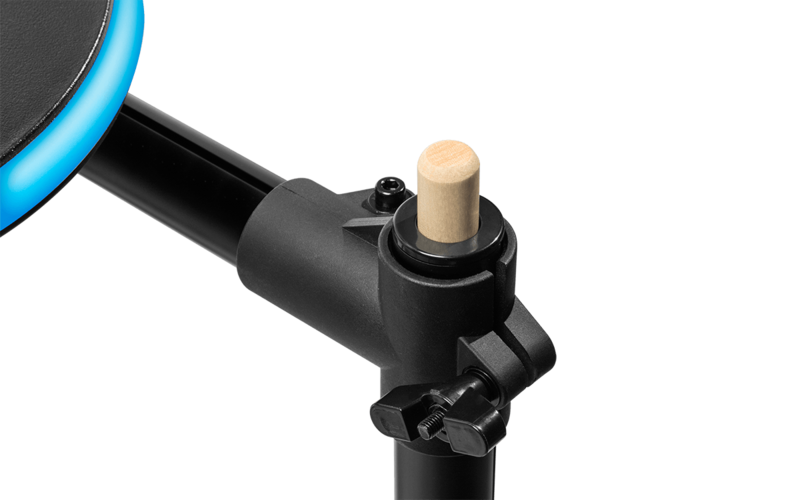 Furthermore, The DM Lite Kit includes a pre-assembled 4-post rack, with all drum and cymbal pads in place. 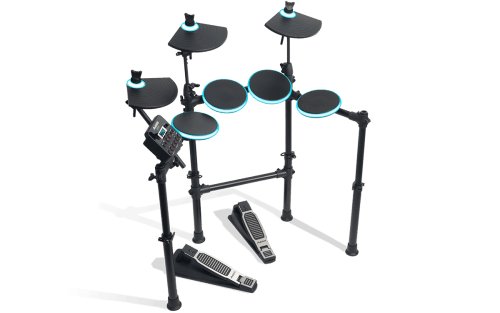 Unfold the arms, position the pads and cymbals, then use the quick-release fittings to set the height to match your size and playing style. No tools required. Also, the wiring snake connects all of the pads, cymbals, and pedals to the DM Lite module with one simple connection. 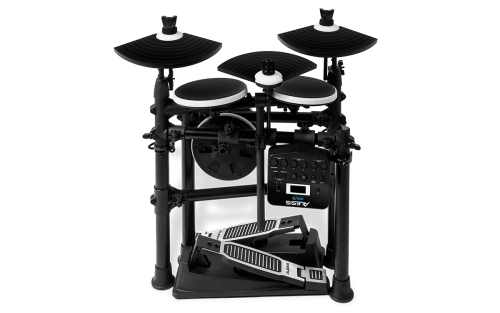 Just plug in the DM Lite module, grab the included drumsticks, and start playing! 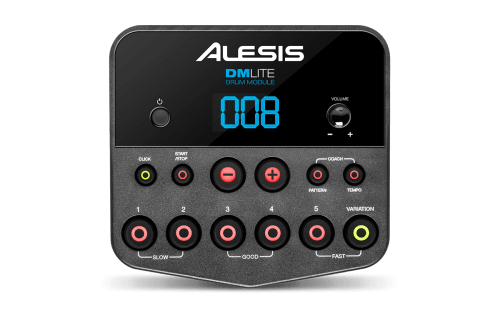 In addition, The DM Lite module is loaded with 200 quality drum and percussion sounds (accessible by external MIDI sources). 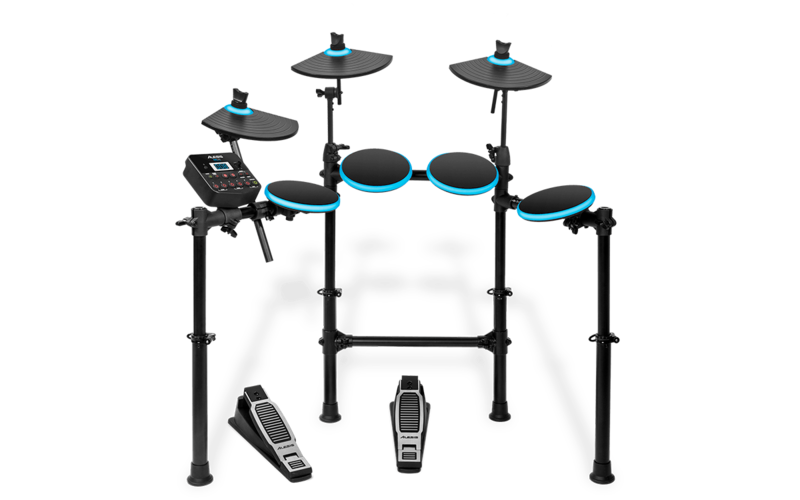 This makes up 10 ready-to-play kits that are selected to compliment multiple genres of music. 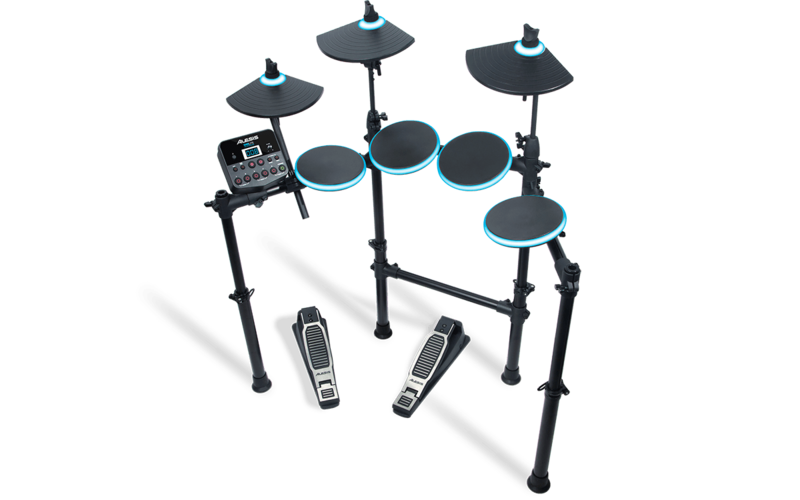 Sounds are also arranged into 10 ready-to-play kits. As great as they are, sounds are just the beginning. Inside the DM Lite module you’ll also find valuable extras. 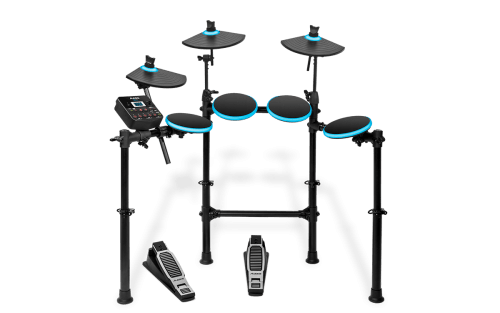 The built-in coach feature, 30 play-along music tracks, and an onboard click-track (metronome) add purpose to practice sessions. Improving basic and advanced skills. The DM Lite module also provides an 1/8″ stereo aux input. 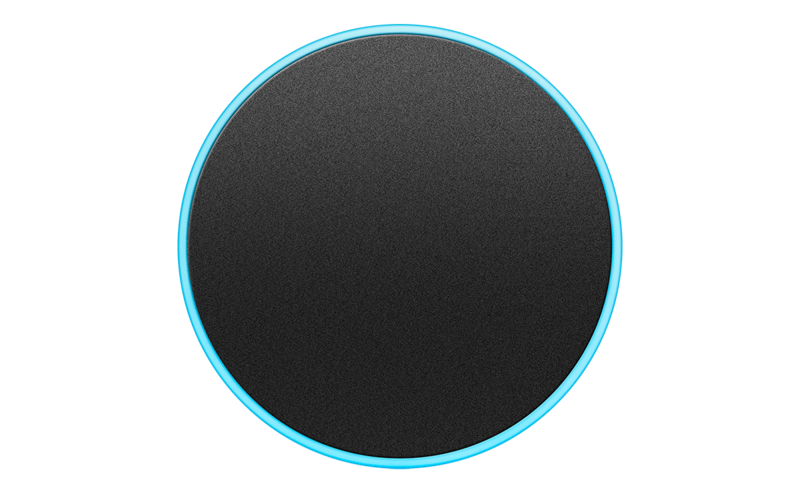 You can listen, learn, and play along with lessons or jam to your favorite tracks stored in your computer, mobile device, or audio player. 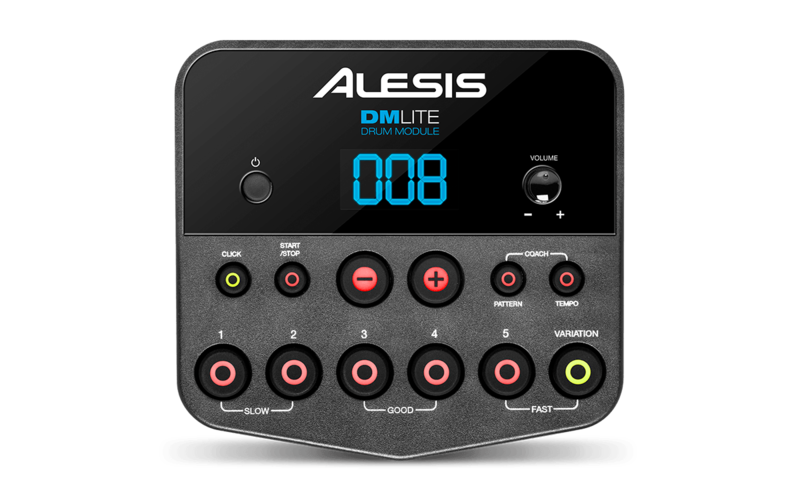 For making music with a computer, the DM Lite module also benefits from a USB MIDI connection to allow use with popular audio recording software and virtual instruments. A headphone jack for private practice, plus 1/4″ stereo outputs connect easily to a PA system, amplifier, or recording interface.